How Is An Auto Insurance Quote Determined? Here's the surprising way insurers determine your car insurance rate. camera (Getty Images) Here are ways to cut your car loan terms to save cash. intro: You went to a car insurer's website, answered lots of questions, including some very personal ones -- and a dollar figure just appeared on your computer screen. How was that quote determined? And why might you receive wildly different auto insurance quotes when shopping around to different insurers? •	The type of car you drive. •	How often and how far the car is driven. •	The amount and types of coverage that will be purchased. •	The size of the deductibles you choose. Gender also can play a role in determining auto insurance quotes, says David Marlett, an insurance professor who chairs the department of finance, banking and insurance at Appalachian State University in Boone, N.C. "Teenage males are higher risk than soccer moms," he says. Purchasing multiple insurance policies with the same company also might influence a quote, says Larry Thursby, vice president of auto product and pricing at Nationwide Insurance. "Some insurers offer discounts for customers who choose them for both their auto and home protection, maintain continuous insurance coverage or complete a driver safety course," he says. While insurers have different formulas for determining prices, a consumer's driving record and the make and model of a vehicle tend to have the most influence on car insurance quotes, says Michael Barry, spokesman for the New York-based trade group the Insurance Information Institute. "This goes into what's it going to cost to repair, or, in the event of a total loss, to replace the vehicle," Barry explains. You can control your driving habits to keep your record clean and score a better rate, notes Michal Brower, a spokeswoman for State Farm insurance. You also want to choose your make and model wisely. "I think a good question to ask (about) that vehicle that you are looking at purchasing is: 'Does it have a strong safety rating' or 'Is it a particular model that is often stolen?'" Brower says. "Sometimes doing a little research -- that you can simply do online now -- will answer some of these questions and help you choose a car that you can possibly get a better (insurance) rate for." Picking the right deductible also can help cut down on the insurance premium that you're quoted, Brower says. The deductible is the amount you agree to pay toward claims out of your own pocket before your coverage kicks in. "The type of deductible that they choose will play a major role in what type of payment they are going to have every month and what their total premium will be," she says. Some of the other factors that influence auto insurance quotes may be less important, depending on the insurer. For instance, because of the growing trend of telematics, or "pay as you go" programs that use onboard devices to monitor your driving, any estimates you're asked to give for your annual or weekly mileage may not matter as much. "I think that has diminished in importance mostly through technological advances," Barry says. "What used to be a lot of estimates are now something that auto insurers are able to quantify." A few other factors that are perceived to have an influence on the cost of car insurance are merely myths, notes Nationwide's Thursby. "The color of your car has no bearing on the price of your insurance, and there is no difference in cost for cars parked in a garage versus those that remain parked on the street overnight," he says. 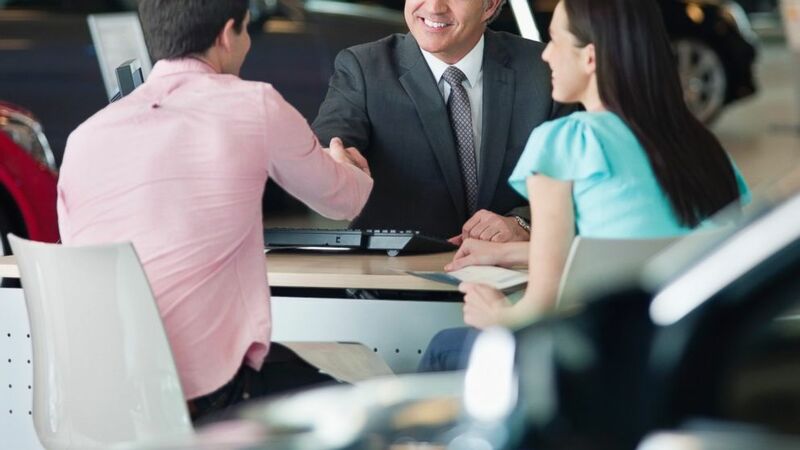 Once you have gathered several auto insurance quotes, how do you choose which company to go with? One way to guide your decision is to vet each company by reviewing its reputation and financial strength. "From a consumer's perspective, you want to make sure that behind the policy is a company that has the financial wherewithal to pay out all of its legitimate claims," Barry says, adding that ratings services such as A.M. Best provide the public with insurers' financial information. But Marlett says auto insurers are regulated by state authorities and it's rare for an insurer to go bankrupt, so consumers may not need to focus on company financials quite so much. "What they should focus on is the level of claims service and customer support," he says. That means checking with your state's insurance department about consumer complaints filed against any company you're considering. The bottom line is that you shouldn't go with an insurer solely on the basis of its auto insurance quote. Because a vehicle is one of the largest purchases you'll make, it's necessary to insure it with a company you trust, says Brower.